Those of you visiting Ballinamore Golf Club for the first time will see a beautiful parkland 9 hole course set in rolling County Leitrim farmland, bordered on oneside by the Ballinamore - Ballyconnell canal and affording panoramic views of the dramatic slopes of Sliabh - an - Iarainn. The Club was founded in 1934 and in 1996 Dr Arthur Spring re-designed the course which was offcially opened on June 26th 2004.It has established itself as one of the finest 9 holes courses in the region.The proximity of the canal is a feature of the golf course with the Club House on one side and the course on the other. The intimate, friendly clubhouse has commanding views of the 1st, 3rd, 4th and 9th holes.Facilities include locker rooms, a bar and light refreshments. Ballinamore Golf Club caters for all ages. 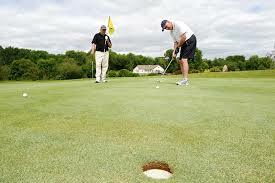 It has a strong Junior section and very active Senior section which caters for the retired and mature golfers. New members are always welcome. There are a number of open days including Classics. 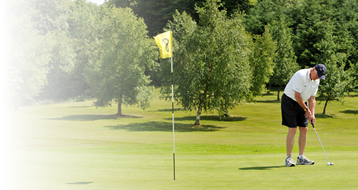 See the fixture list on the Ballinamore Golf website for more information.Ballinamore Golf Club facilities are widely used by local GAA Clubs and community groups to hold fundraising golf classics, building up good inter club relationships. Forming part of a magnificent 300 acre estate, including 50 acres of lakes, this highly acclaimed 18-hole championship course is sensitively wrapped around the lakes and the drumlins of the County Cavan landscape. The course presents a wonderful challenge and the devilishly tricky greens present a searching examination of accurate approach play, which adds to the enjoyment factor. Ballinamore Golf Club is situated on Golf Links Road, 1.5 miles from Ballinamore, alongside the Shannon Erne Waterway Canal.